Review of the Corsair Strafe MK.2 RGB Mechanical Keyboard. What is the main reason to spend money on a gaming mechanical keyboard vs a regular keyboard? With membrane based gaming keyboards, your purchase depends mainly on features that you can only utilize during gameplay. But with a gaming mechanical keyboard, your priorities in performance to value are more broad. You're looking for a long life keyswitch that offers tactile feel and a comfortable typing experience as well. This is what we should all look for in a gaming mechanical keyboard, does the K70 MK.2 live up to these expectations? 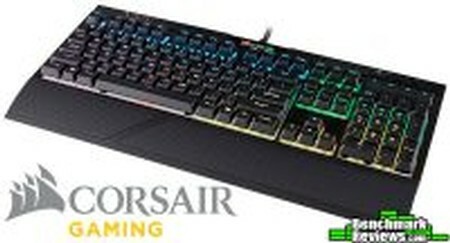 Corsair Strafe MK.2 RGB Keyboard kaufen.